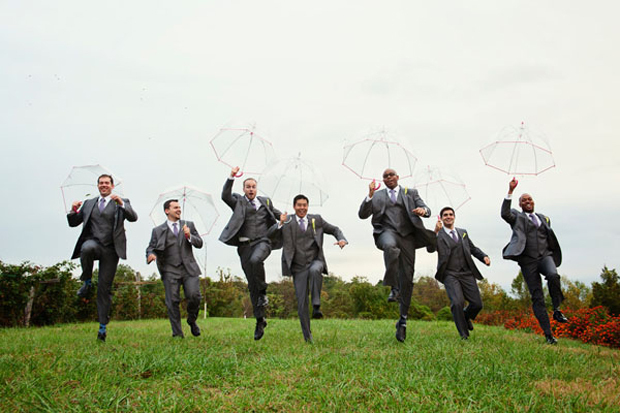 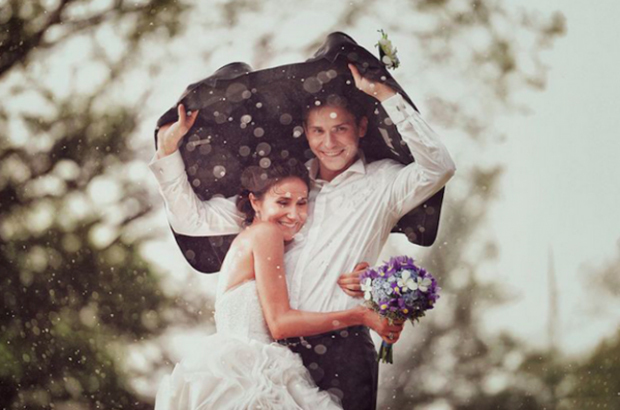 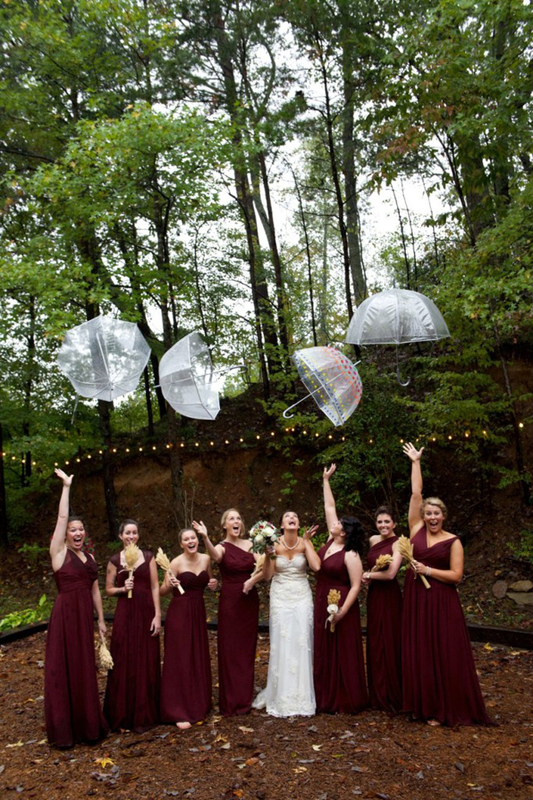 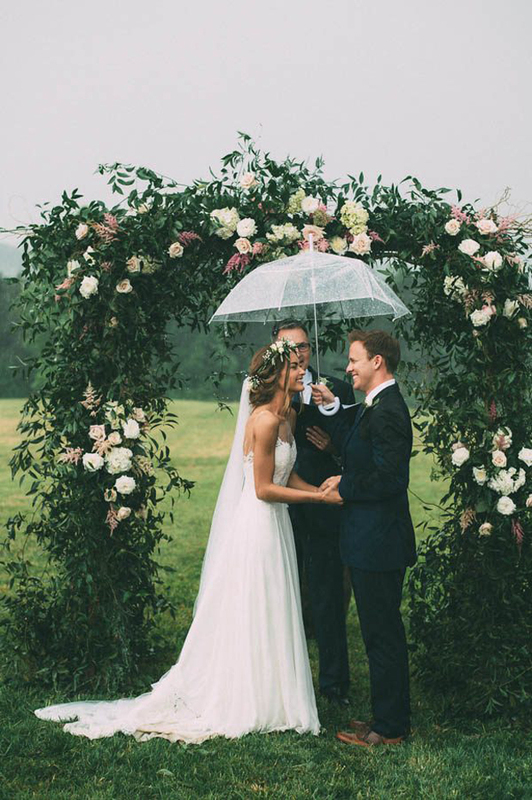 We live in Ireland so the rain wedding day fear is quite a popular one! 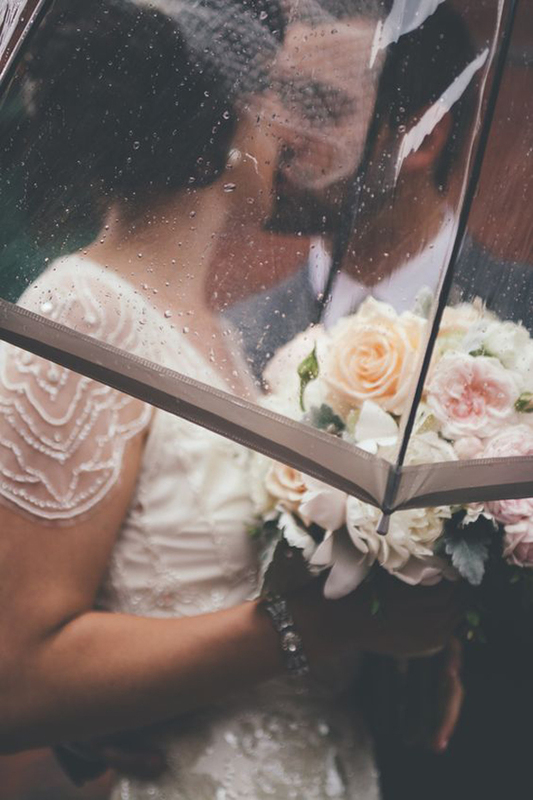 Nobody really dreams of a rain filled wedding day but living in the Emerald Isle means there’s a fair chance either Met Éireann will predict a shower (or several) on your special day, or you could be surprised by one anyway regardless of whether you’re having a spring, summer, autumn or winter celebration! 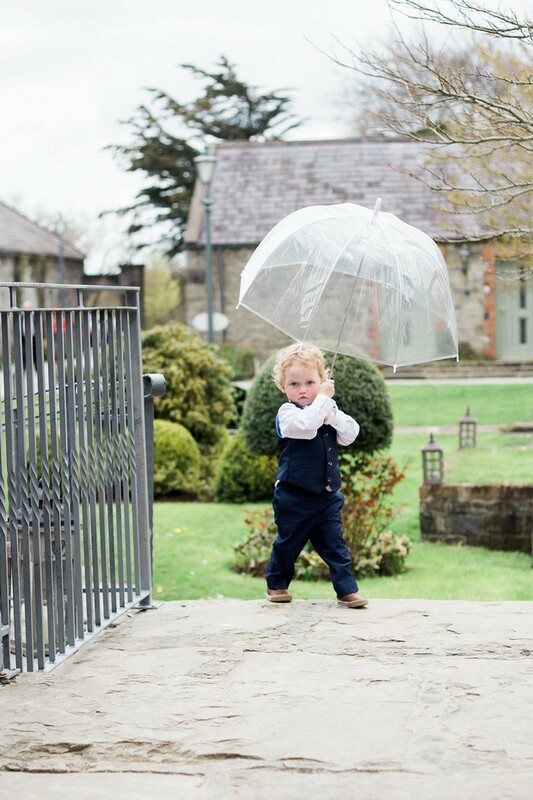 Chances are you might need the brollies on standby whatever the season. 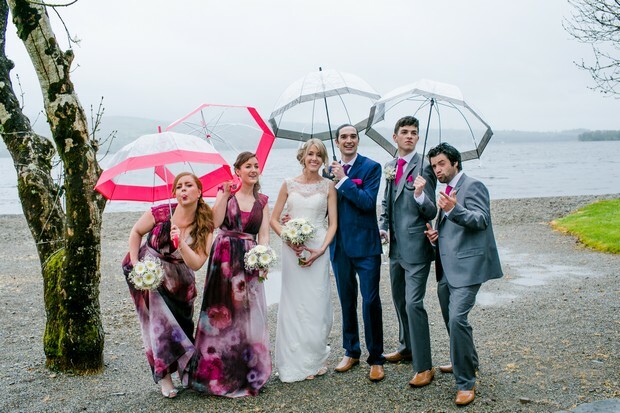 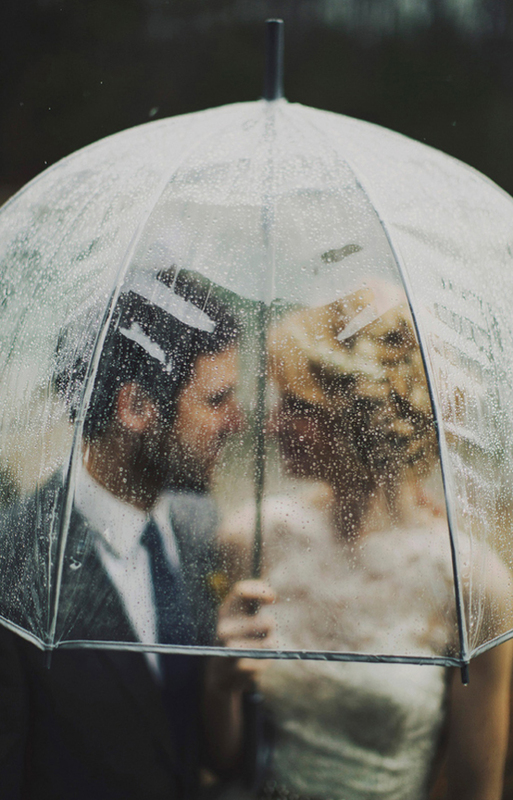 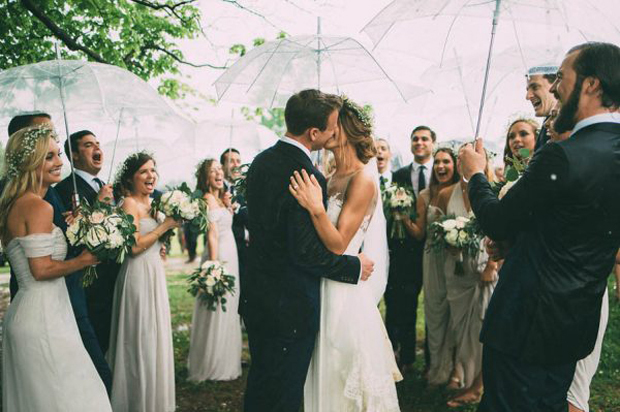 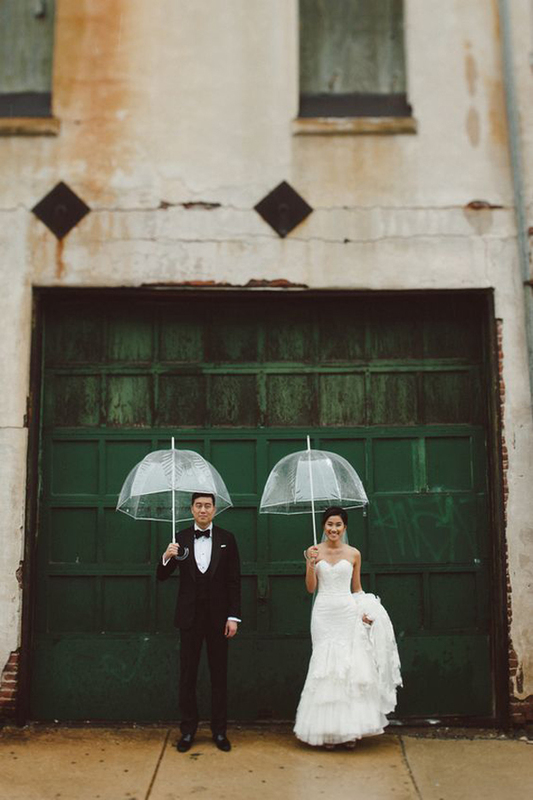 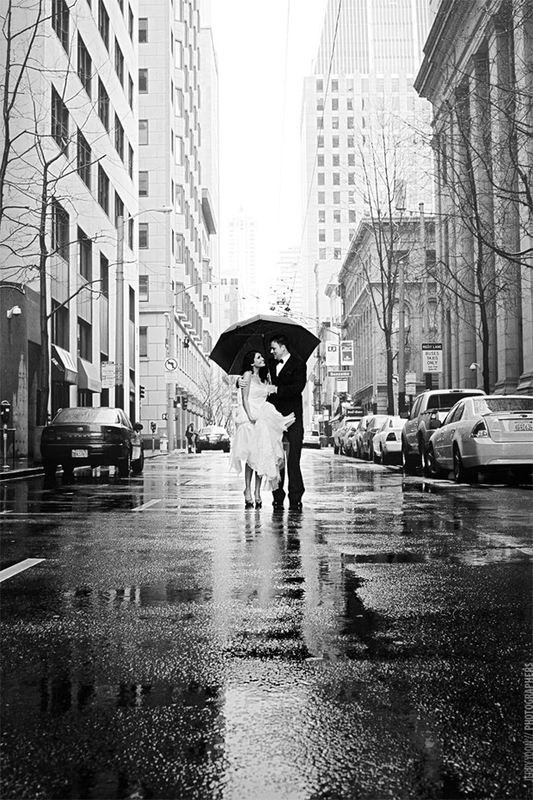 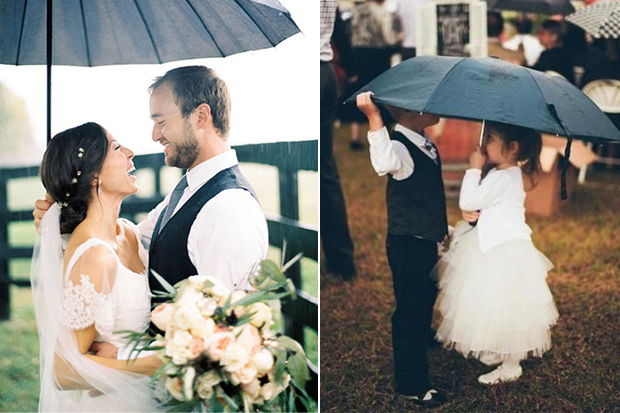 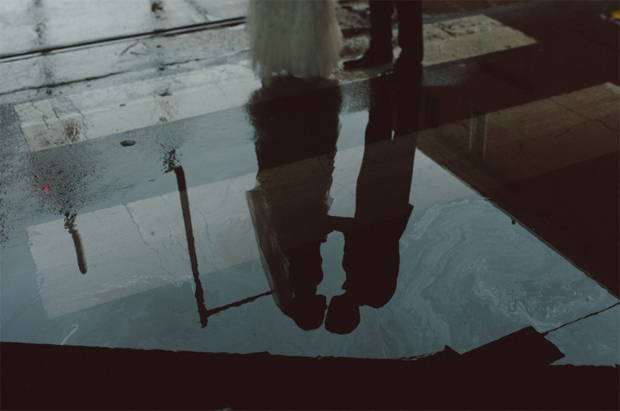 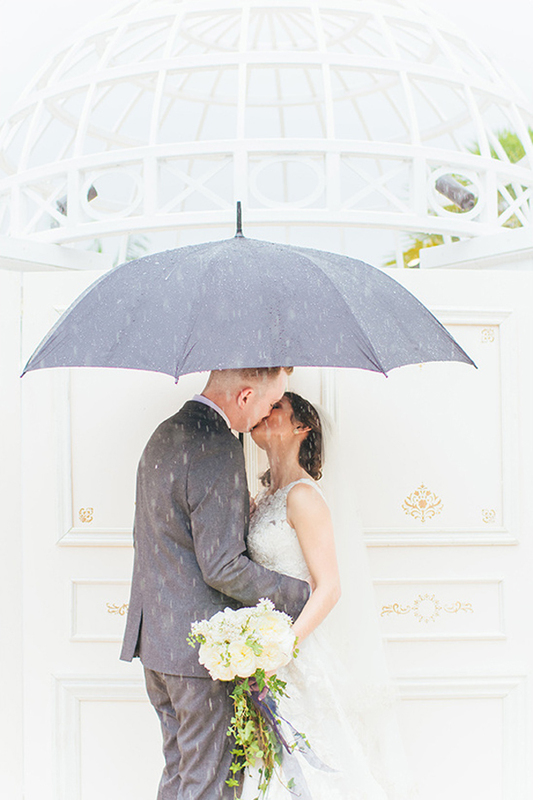 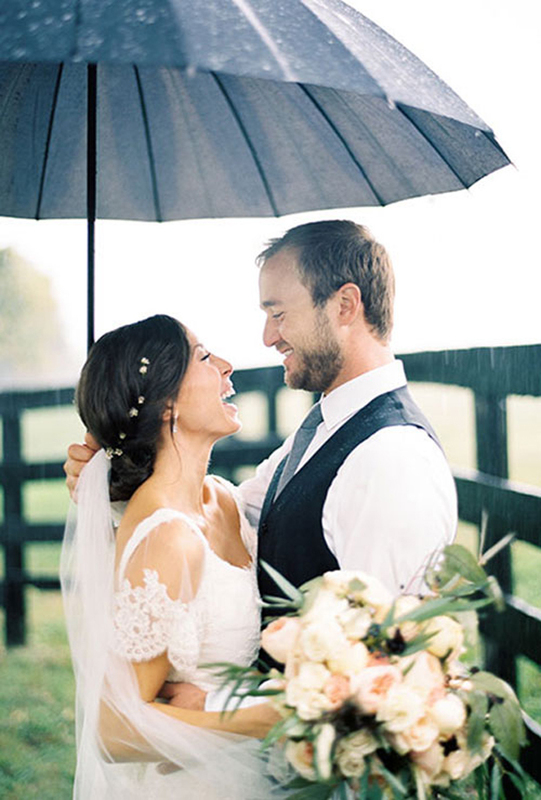 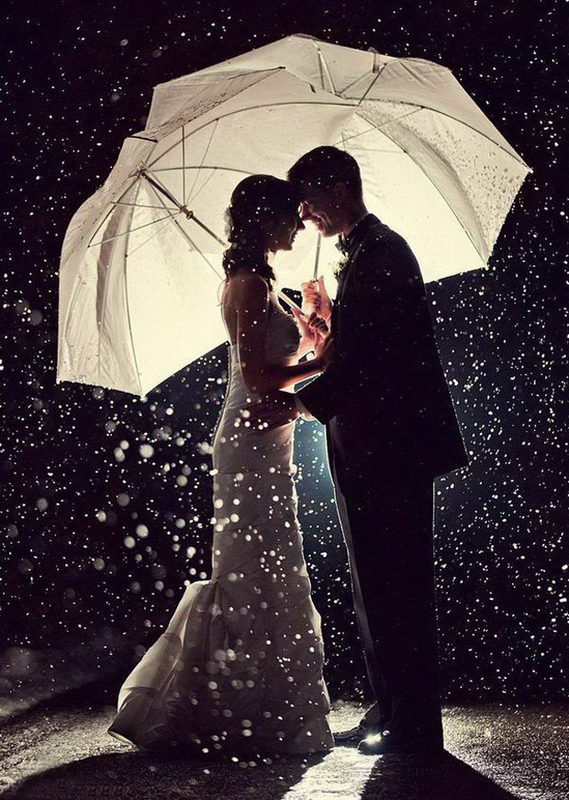 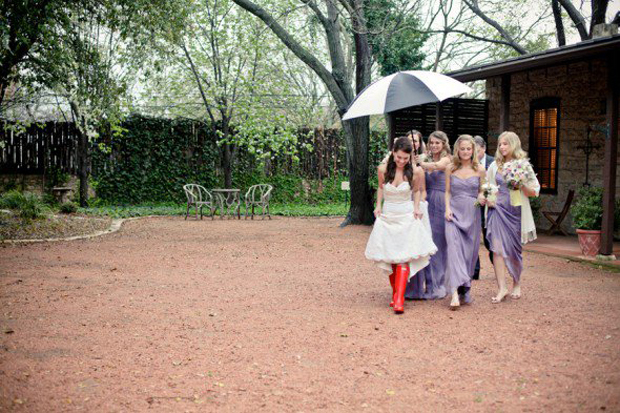 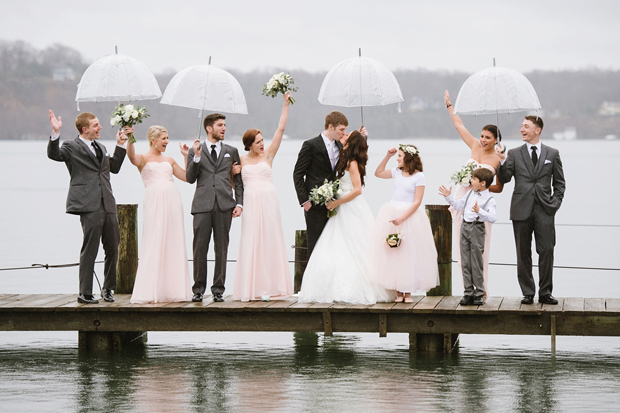 Puddles aside, wedding snaps outside cosying up under a big umbrella can be so romantic and SO pretty (in fact these photos are so lovely, you might actually find yourself hoping for a bit of a drizzle on your Big Day). 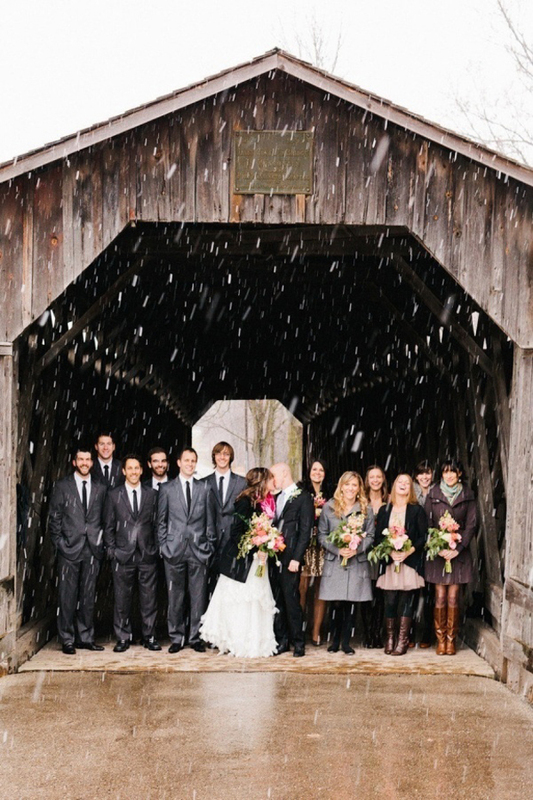 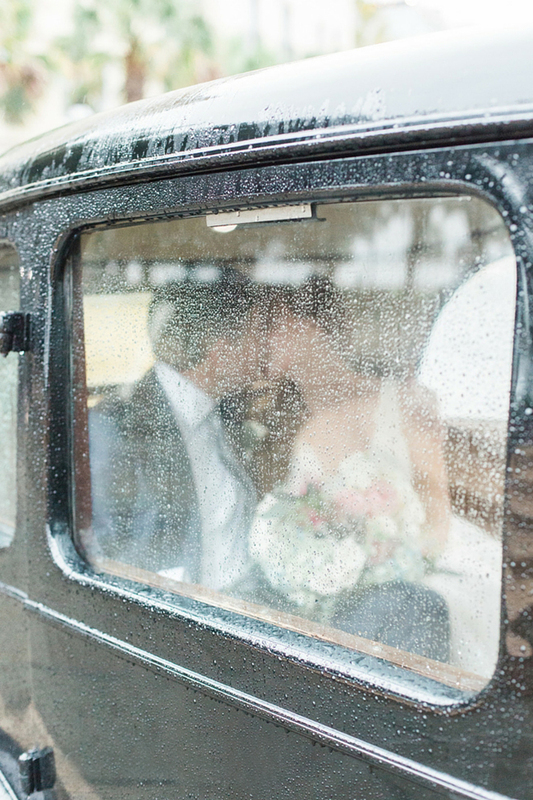 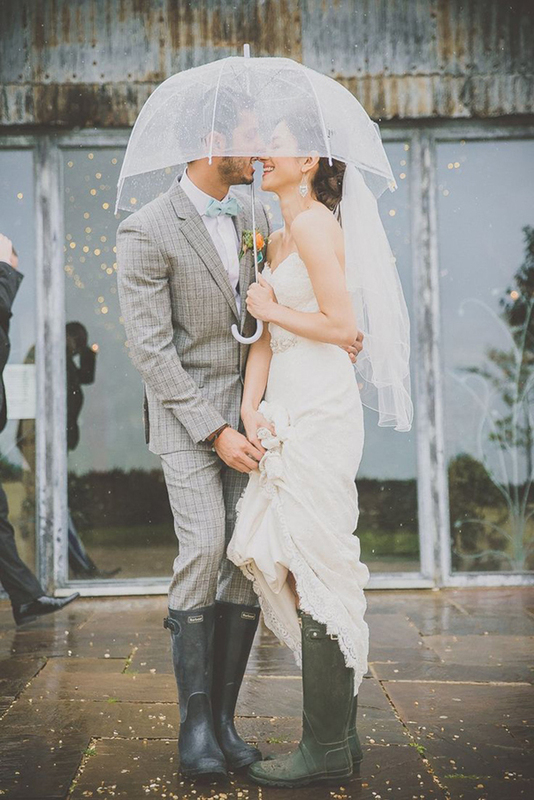 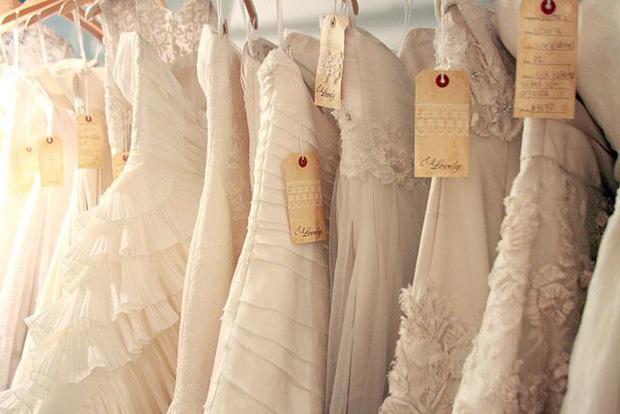 From cuddling under an umbrella with your new hubby or wife to frolicking about with your bridal party and catching cute snaps of the little ones with their brollies, we’ve rounded up some fab inspiration for those that fear rain on their wedding day that’ll convince you it can actually be pretty lovely. 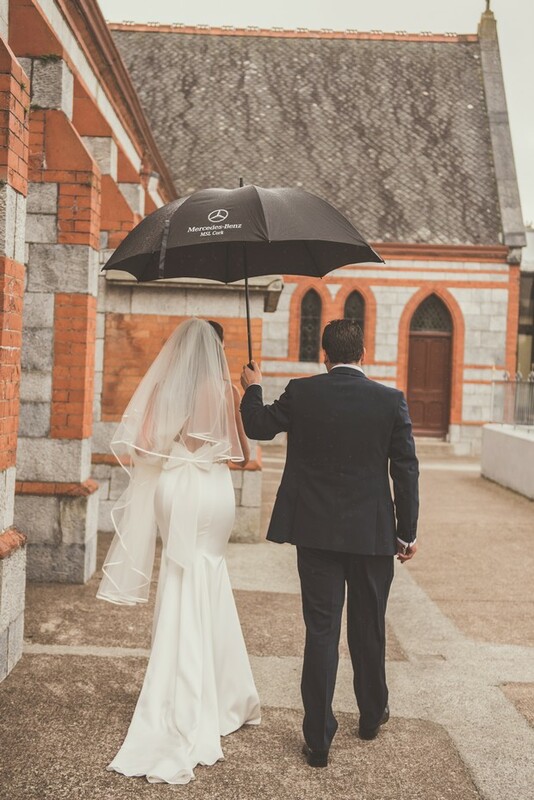 And if you are psyching yourself up for a bit of a downpour, be sure to pop over to Irish stores The Lovely Little Label, Wedding Belles Bridal Accessories & Gifts and Allure who all stock some gorgeous bridal brollies if you wanna come prepared or check out our recent shopping edit – 20 of the Best Wedding Umbrellas for Your Big Day.